Phew am I tired! We are moving soon so there has been way more exercise than usual at Chez Anny. Unfortunately that means I slept late and didn't get to sale until close to noon. Back in the day I would not have even bothered since the best stuff is gone by then. 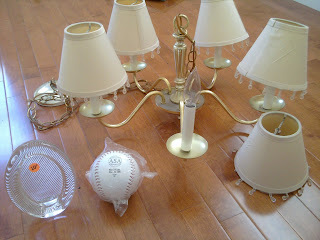 But check it out - I found a chandy for $5! I've been wanting to convert one into a solar powered toy for DAYS. 50 cent softball because I want to play games with my niece. 10 cent glass frame. I shouldn't have bought it but it was solid and glass and I forget I am moving. Speaking of moving - I bought a crapton of paint and supplies at the Habitat store. White semi-gloss is SIXTEEN BUCKS a gallon now - when did paint get so pricey!? 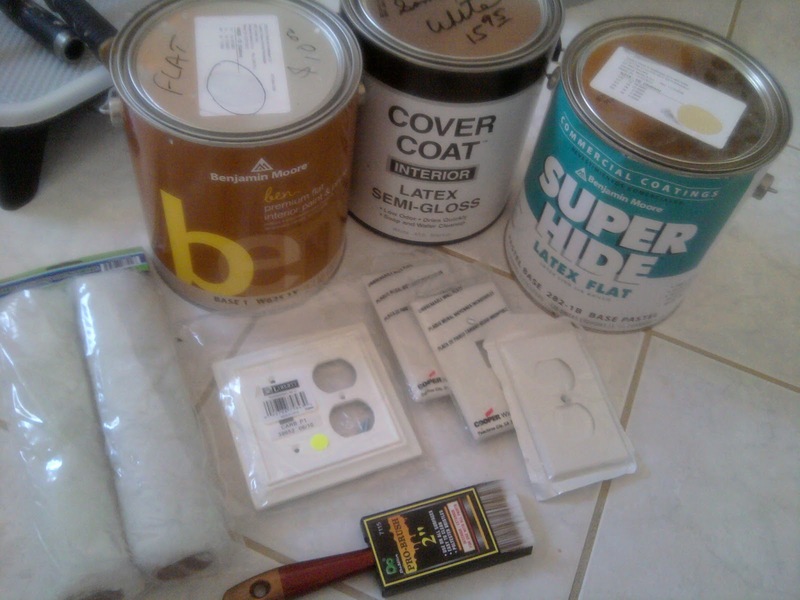 Regular paint was $10 a gallon, some quarter outlet covers, $1.25 brush, $1.50 roller covers. These covers are made of cardboard which is perfect for people who want to chuck them afterwards - like Me! For the amount of time, water and soap you spend cleaning a roller you may as well just buy another one. 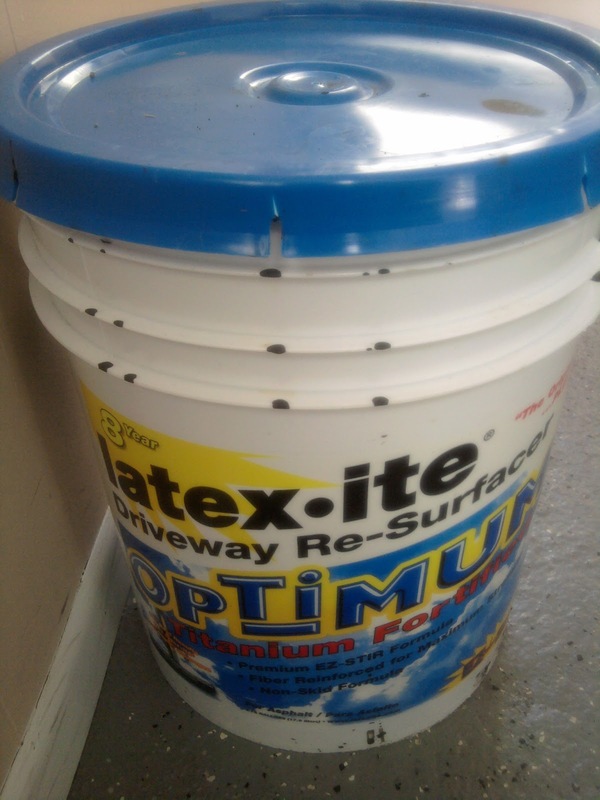 $10 for 5 gallons of driveway resurfacing. My parent's driveway is in desperate need of this. I am sharing at The Thrifty Groove and Sir Thrift A Lot. 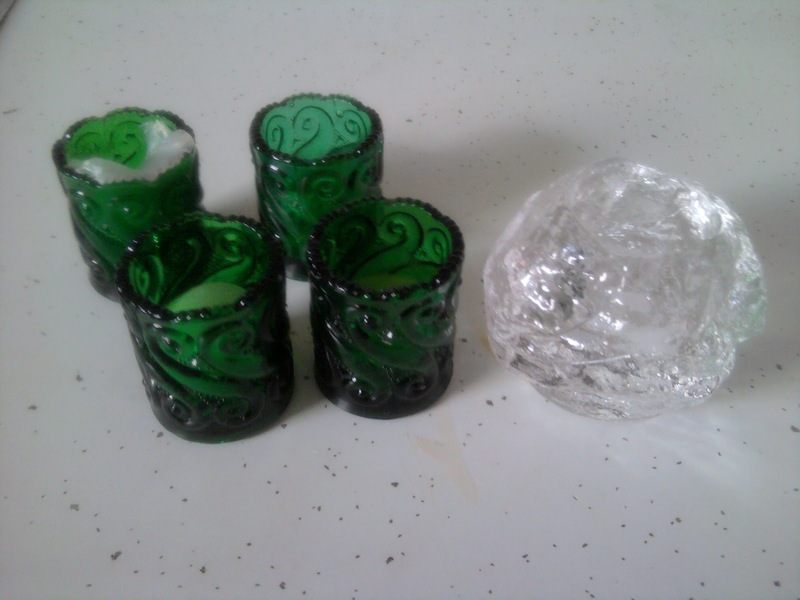 I think that ball votive is a Kosta Boda Snowball crystal votive.That was a good find. I'm interested in how you're going to turn the chandelier solar-I hope you do a tutorial. Good finds! Love the chandy and you can't beat the price! I can't wait to see what you do with it! thank you for sharing at TTF!